Mountain Ancestors Grove, ADF is committed to maintaining consciousness and proactive intentionality regarding diversity and multicultural awareness. 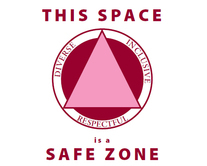 This means that the congregation is dedicated to creating an environment that acknowledges and respects difference in its many manifestations, including but not limited to race, ethnicity, a/gender identity and expression, sexual orientation, ability/disability, veteran status, national origin, citizenship, age, religious/spiritual practice, socioeconomic background, and weight/body type. Mountain Ancestors Grove, ADF is also committed to both acknowledging the presence of social and cultural, systemic privilege and oppression dynamics, and the reality that these privilege and oppression dynamics will always be present in congregational interactions to some degree by virtue of their presence in larger society. With this in mind, Mountain Ancestors Grove, ADF actively works toward equality and social justice, while acknowledging intersectionality and addressing social inequality within the congregation. Membership and privileges of office in Mountain Ancestors Grove, ADF and attendance or participation at Grove rites, events, or activities, shall not be denied to any person on the basis of difference, but may be denied to individuals practicing creeds inimical to our church’s values, principles, and Virtues. Communication or behavior of a racist, sexist, homophobic, anti-Semitic, or otherwise bigoted manner, shall not be tolerated, and shall be addressed with appropriate action, including but not limited to further discussion that could result in, but are not limited to the following: truth & reconciliation process, diversity awareness training, or not being welcomed at Grove functions. Due to their divisive, vitriolic nature, Mountain Ancestors Grove, ADF will take into consideration communications and behaviors of this nature that occur beyond the boundaries of its Fires. 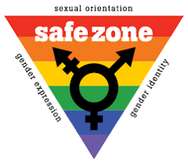 Mountain Ancestors Grove, ADF is dedicated to providing a harassment-free experience for everyone, regardless of gender, gender identity and expression, sexual orientation, disability, physical appearance, body size, age, race, ethnicity and/or national origin, as well as religious affiliation/non-affiliation. We do not tolerate harassment of participants in any form. ​This code of conduct applies to all Mountain Ancestors Grove, ADF spaces, including but not limited to high-day, full moon, and other religious rites, community classes, dedicant program classes, Pagan Pride Day and other community appearances, as well as all Mountain Ancestors Grove, ADF affiliated website pages, blogs, and Facebook pages or groups. Anyone who violates this code of conduct may be sanctioned or expelled from these spaces at the discretion of our Clergy, Leadership Team, and/or Board of Directors. Some Mountain Ancestors Grove, ADF spaces may have additional rules in place, which will be made clearly available to participants. Participants are responsible for knowing and abiding by these rules. Offensive comments related to gender, gender identity and expression, sexual orientation, disability, mental illness, neuro(a)typicality, physical appearance, body size, age, race, ethnicity and/or national origin, as well as religious affiliation/non-affiliation. Physical contact and simulated physical contact (e.g. : hugs, backrubs, contact-communications) without consent or after a request to stop. If you are being harassed by a member of Mountain Ancestors Grove, ADF, notice that someone else is being harassed, or have any other concerns, please contact the Clergy, Leadership Team, Board of Directors and/or Trustees at info@mountainancestors.org. If the person who is harassing you is on the team, they will recuse themselves from handling your incident. We will respond as promptly as we can. This code of conduct applies to Mountain Ancestors Grove, ADF spaces, but if you are being harassed by a member of Mountain Ancestors Grove, ADF outside our spaces, we still want to know about it. We will take all good-faith reports of harassment by Mountain Ancestors Grove, ADF members, especially Clergy, Leadership Team, Board of Directors and/or Trustees, seriously. This includes harassment outside our spaces and harassment that took place at any point in time. The Clergy, Leadership Team, Board of Directors and/or Trustees reserves the right to exclude people from Mountain Ancestors Grove, ADF based on their past behavior, including behavior outside Mountain Ancestors Grove, ADF spaces and behavior towards people who are not in Mountain Ancestors Grove, ADF. We will respect confidentiality requests for the purpose of protecting victims of abuse. At our discretion, we may publicly name a person about whom we’ve received harassment complaints, or privately warn third parties about them, if we believe that doing so will increase the safety of Mountain Ancestors Grove, ADF members or the general public. We will not name harassment victims without their affirmative consent. If a participant engages in harassing behavior, our Clergy, Leadership Team, Board of Directors and/or Trustees may take any action they deem appropriate, up to and including expulsion from all Mountain Ancestors Grove, ADF spaces and identification of the participant as a harasser to other Mountain Ancestors Grove, ADF members or the general public.